This week I got up to quite a bit. Rather than have separate posts, I thought I would try this out instead! I first came across Nail It Magazine (http://nailitmag.com/) on holiday in America in March. It was the first issue and it's devoted to nails! Of course I bought one and liked it so much I decided to subscribe. It's published every two months and my first issue just arrived! Really enjoy seeing all the articles on nails and even the ads! I picked my boyf up from a pub which happened to have an Eddie Rockets beside it so why not a milkshake for the drive home? Strawberry of course! When shopping in Harvey Nicks, I decided to go for the Stila 'In the Know' palette. It's all matte which I love. Have been using it a lot since! Have ordered 'In the Light' online, basically a shimmery version; really looking forward to its arrival! Next up we have me just before I went to the #whatbloggersdidnext event in the Hard Rock. This is one of favourite dresses, from Loft in the States. http://www.loft.com/ I really wish they had one here! I have a neon obsession at the moment so I had to buy! My boyfriend and I are fostering two tiny kittens for a month until they are old enough to get real homes. They were very nervous when this picture was taken but they are much more playful now! As you may know, I do professional actuarial exams while I work (http://www.actuaries.org.uk/). I will go into more detail in another post but basically I make mathematical models for an insurance company. I love volunteering within my profession so I went off to Edinburgh to represent Irish students in the Actuarial Profession's Student Forum. I had a bit of time to look around which was amazing as I'd never been to Edinburgh before. I have to go back! I headed to Tropical Popical's event the night before Edinburgh. 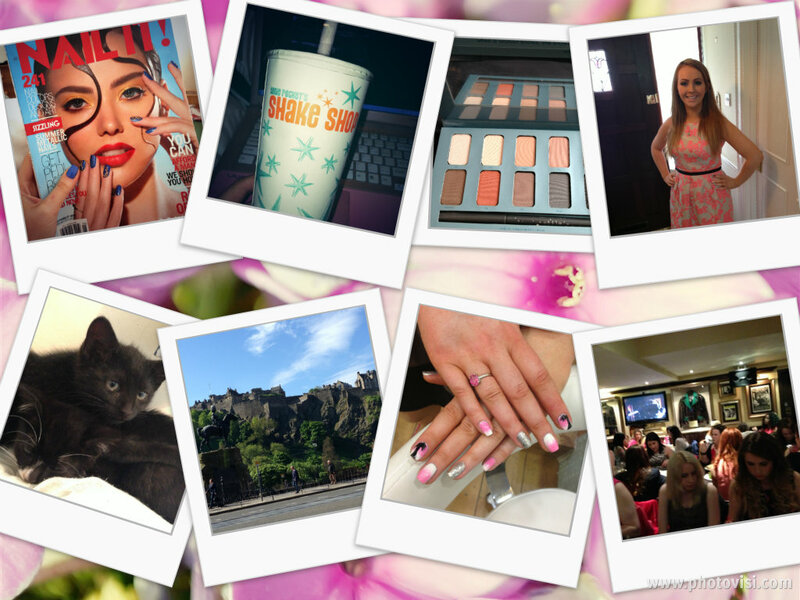 We were treated to Lilt cocktails and palm tree nail art! I got two palm trees on top of my own ombre design. 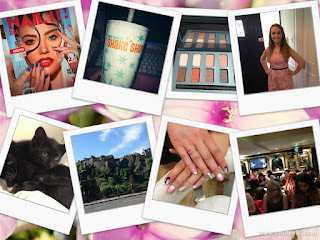 Finally, as mentioned, I went to the #whatbloggersdidnext event as organised by Katie (http://whatkatiehealydid.blogspot.ie/). This was my first event of this kind since blogging. I had such a great time, it was so much fun to meet so many other bloggers. I have never seen so many girls with such perfect make up! If you are ever wondering about going along in the future, please do! Major thanks to Katie for organising. I will do a more detailed post about this in future. Hope you enjoyed my week! Loved this post - those kittens are adorable.